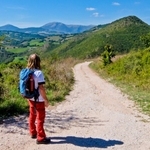 Even the railway and bus stations lie a long way below the centre so don’t think about walking with your suitcase. Fortunately there’s a new rail link, the MiniMetro, which takes you to the centre, or ride a series of escalators through the catacombs of the Rocca Paolina, up to Piazza Italia. From here, the Corso Vannucci, known simply as Perugino and the spine of city, leads up to the Fontana Maggiore in front of the San Lorenzo cathedral. Medieval buildings, including the Priori Palace line its sides, and narrow alleys tumble down to the massive walls below. 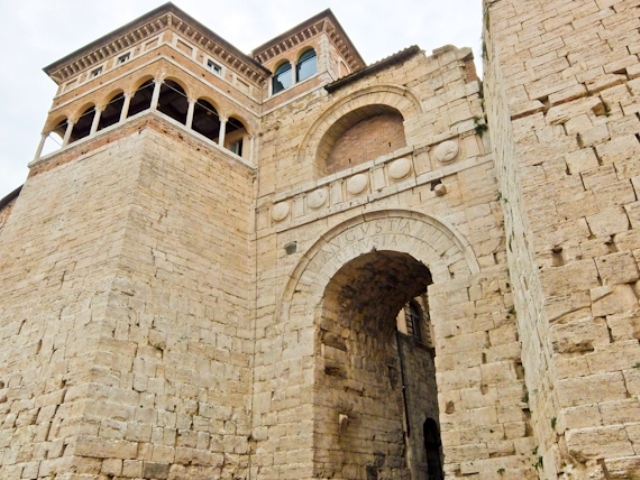 The seven Etruscan gates were built between the fourth and third centuries BC. In the medieval period these were modified and an outer circle of walls sprung up with an additional five gates. This was the main entrance to the Etruscan city, built in the third century BC, and the largest of all the gates. 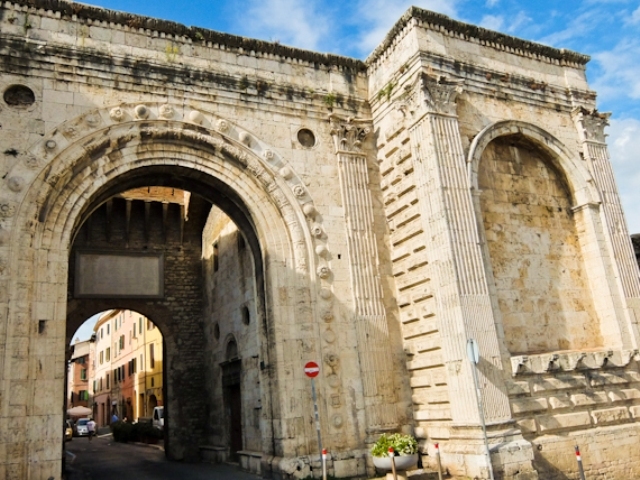 It is often called Arco Augusto, as the Roman emperor Augustus added his name after he stormed the city in 40BC. A Renaissance loggia was erected on the top of the left hand tower in the 15th century and the fountain at the base was added around a hundred years later. 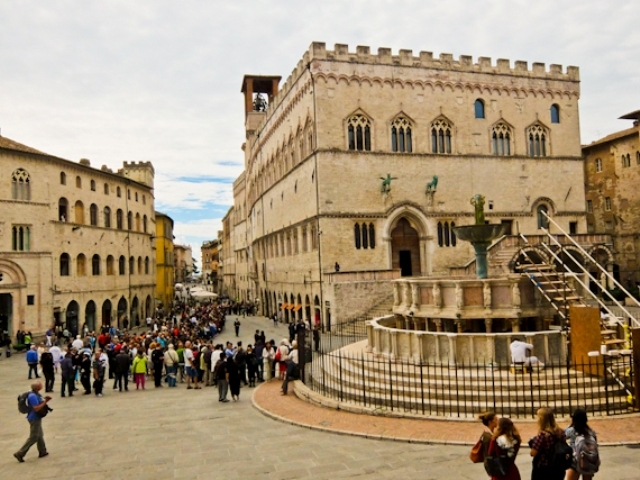 Perugia has adopted the gate as a symbol of the city. 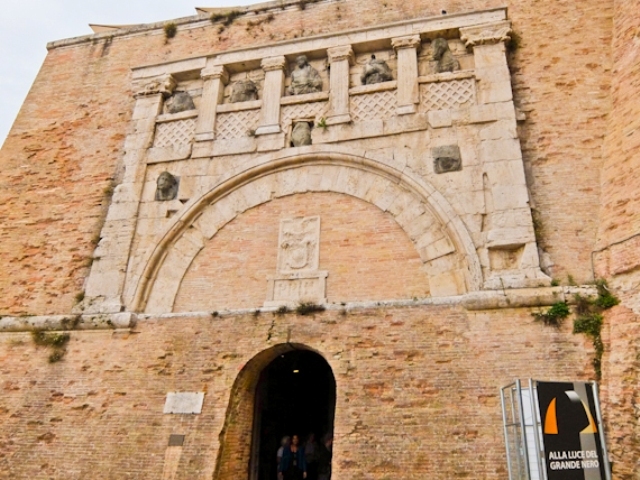 This triple arched gate was the main ceremonial entrance to Perugia in medieval times and once consisted of two separate gateways. 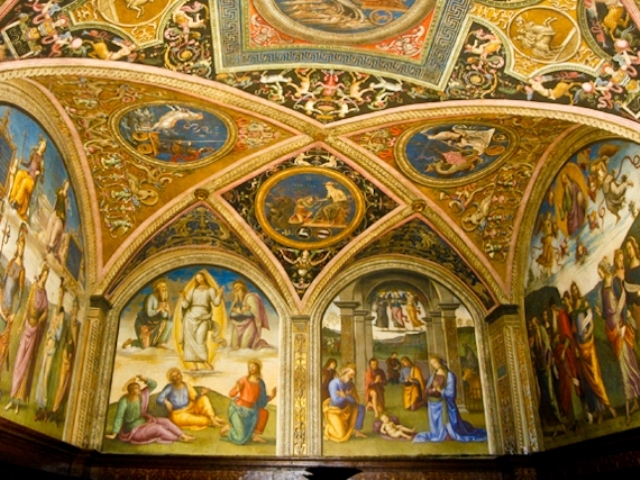 The inner part, dating from 1300, is the most ancient and, in the alcove above the western arch, is a painting of the Madonna of the Rosary with Saints Dominic and Francis. The outer façade was added in the Renaissance, when the city decided they needed something more triumphant, but it was never completely finished. Around 1530 the Perugians rebelled against Pope Paul III and refused to pay his tax on salt. He sent in the army to enforce the law and built the massive Rocca Paolina fortress, demolishing more than a quarter of the city. When Italy was unified in 1861, the citizens dismantled this hated symbol of papal oppression and Piazza Italia was built on top. To this day Perugian bread is salt free. Remarkably, the vaults of the fort and remains of medieval dwellings and streets still exist. Even better, the escalators that connect the lower town to the upper travel up through it and there’s no fee to pay. Enter through the impressive Porta Marzia, built in the third century BC but incorporated into the fortress walls, and explore a lost world. Inside, as well as the medieval remains, there’s a museum and shops and the space is used for cultural events during the year. This is considered one of the most beautiful fountains from the medieval period and was built by Nicola and Giovanni Pisano between 1275 and 1278. It wasn’t just ornamental but supplied drinking water from Paciano, a spring just outside the city. It consists of three basins, the bottom two made of stone, and the top one made of bronze, with three statues supporting an amphora from which the water flows. It also acted as a medieval teaching aid – the lower basin has 50 reliefs, set in 25 panels, portraying Adam and Eve being expelled from paradise, plus scenes from country life. The middle basin has 24 small statues sculpted in Carrara marble representing biblical figures and real people who were involved in the founding of the city. Just down the Perugino from the fountain is what could be called a Renaissance bank, although it’s no longer changing money. This was the headquarters of the Moneychanger’s Guild and the Sala dell’ Udienza, where the public were received, is a stunning example of Renaissance art. Between 1498 and 1500 Pietro Vannucci, with the help of his young student Raphael, decorated the entire room with a cycle of frescos. We see not only religious scenes featuring the Nativity and Transfiguration of Christ, but also female representations of the four cardinal virtues as well as depictions of famous figures of antiquity. 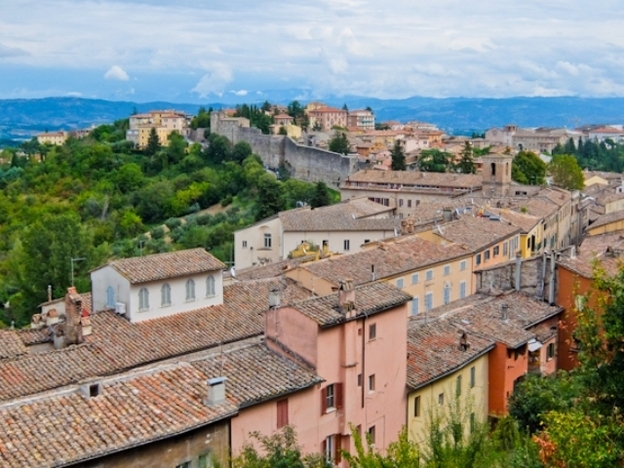 Together they are a fascinating insight into the life of 15th century Perugia. 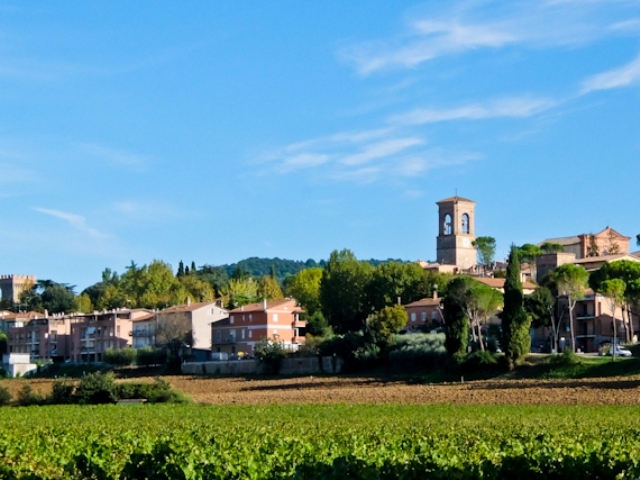 The countryside around the city is a notable wine producing area and you can follow the Strada dei Vini del Cantico all the way to Assisi. If you don’t want to go that far, then both the Goretti winery, just outside the city, and the Lungarotti winery in Torgiano offer tastings. Vineyard owner Giorgio Lungarotti created this Wine Museum inside the 17th century Palazzo Graziani-Baglioni in Torgiano. 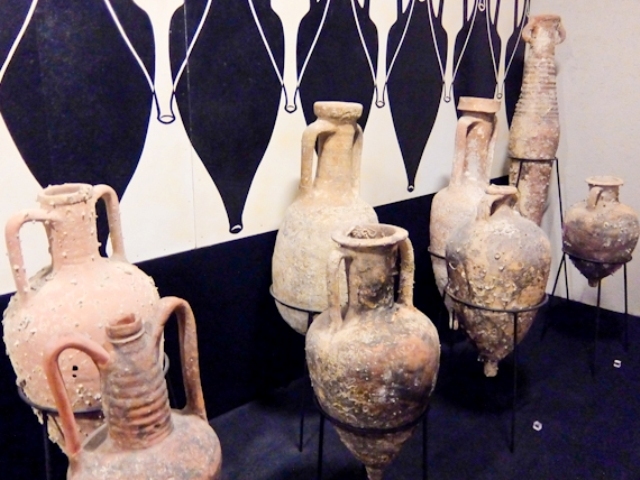 It tells the story of the making and drinking of wine from ancient times, illustrating not only the evolution of the technology, but also the various vessels used for storing, transporting, and drinking the stuff. This collection of artefacts is enormous and includes drawings, paintings, prints, and ceramics related to the subject. 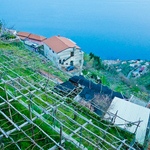 Interestingly, wine was also used for medicinal purposes, pickling herbs that were thought to have healing properties. 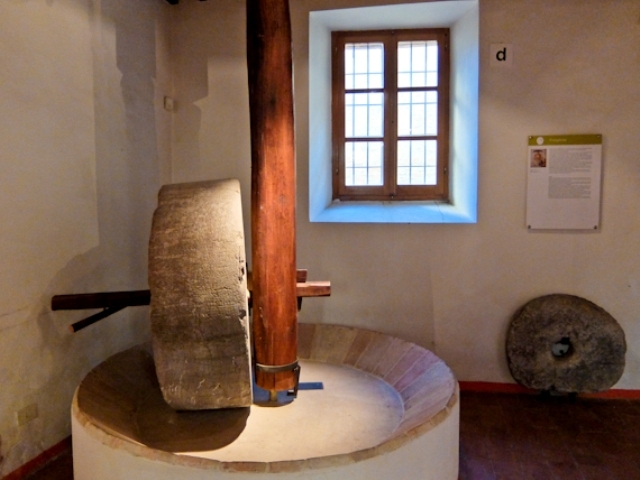 The Olive and Oil Museum is just down the street and is located in a small group of medieval houses, once home to a traditional oil mill. The museum, opened in 2000, tells the history of the olive tree and olive oil, using archaeological finds, ceramics and ancient machinery in ten rooms spread over three floors. What I hadn’t realized was that olive oil was an important source of light and there’s a huge collection of lamps, from ancient pre Roman ones to those of the 20th century. The museum also details the function of the oil in religion, medicine and cosmetics. The Hotel Fortuna is right in the centre of the old town. Trattoria del Burgo serves innovative food with local products. Ristorante dal Mi’Cocco has a set menu for 13 € so it’s wise to book in advance. Umbro is good value with a sumptuous buffet for 7.5 € in the evening. 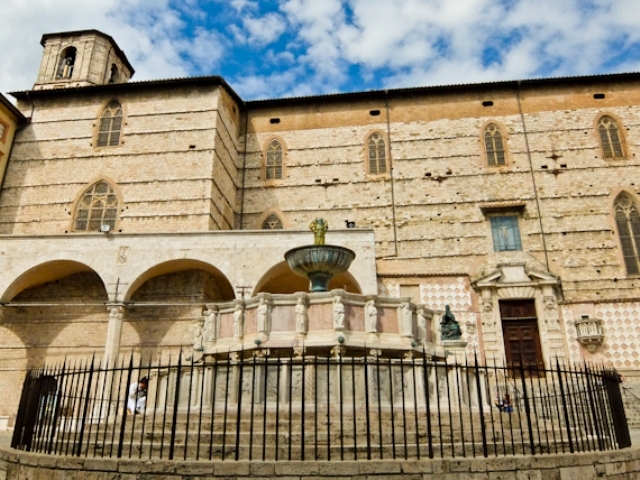 Ryanair flies from Stansted to San Francesco d’Assisi Airport, about 15 km outside Perugia.